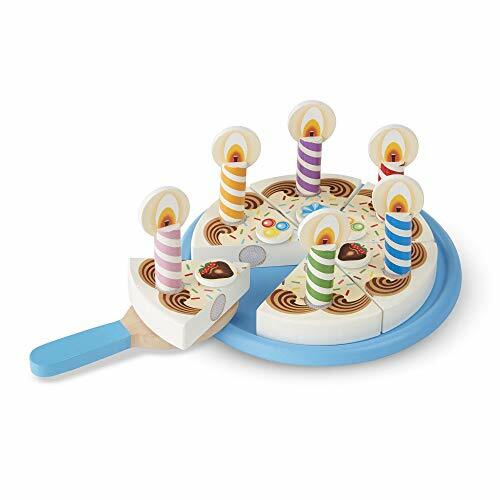 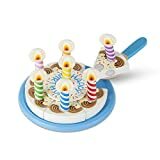 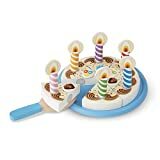 DELIGHTFUL PRETEND BIRTHDAY CAKE: The Melissa & Doug Birthday Party Cake is a wooden play-food set that includes 6 ready-to-cut slices of cake, removable candles and toppings, a cake plate, and server. 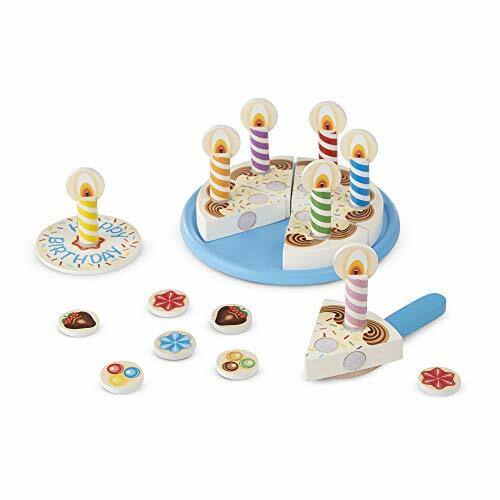 FUN AND EDUCATIONAL: This pretend play cake with candles is excellent for pretend play celebrations. 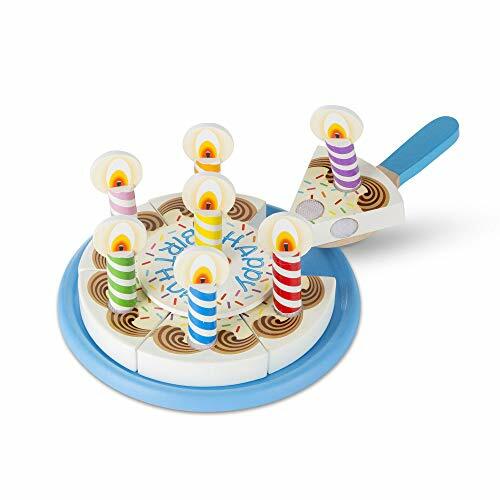 The Velcro tabs hold pieces together, then let kids slice them apart, encouraging hand-eye coordination, creative expression, and imaginative play. 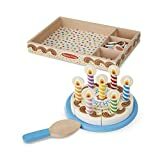 STURDY WOODEN STORAGE BOX: This Melissa & Doug birthday cake play set has been designed for longevity and safety, thanks to its sturdy wooden construction. 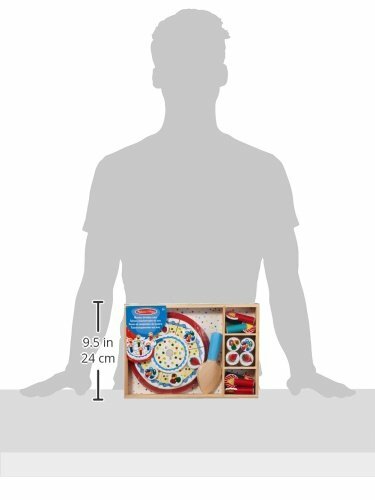 It also comes with a sturdy storage box. 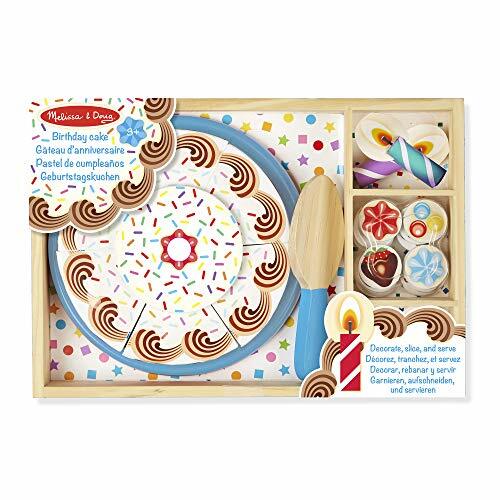 GREAT GIFT FOR AGES 3 TO 6: The Melissa & Doug Birthday Party Cake makes an exceptional gift for kids from 3 to 6 years. 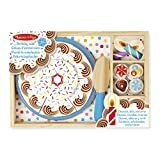 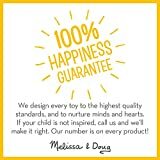 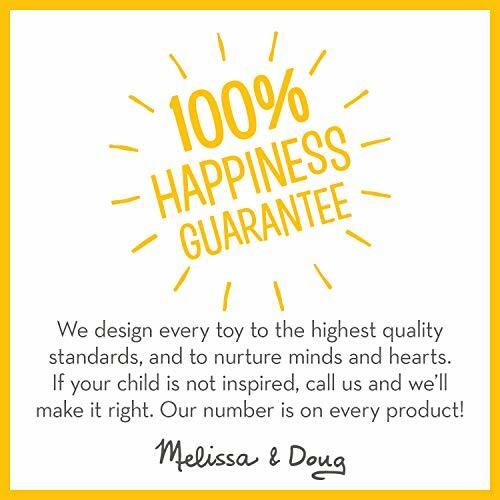 Add the Melissa & Doug Triple-Layer Party Cake to round out the hands-on, screen-free play experience.